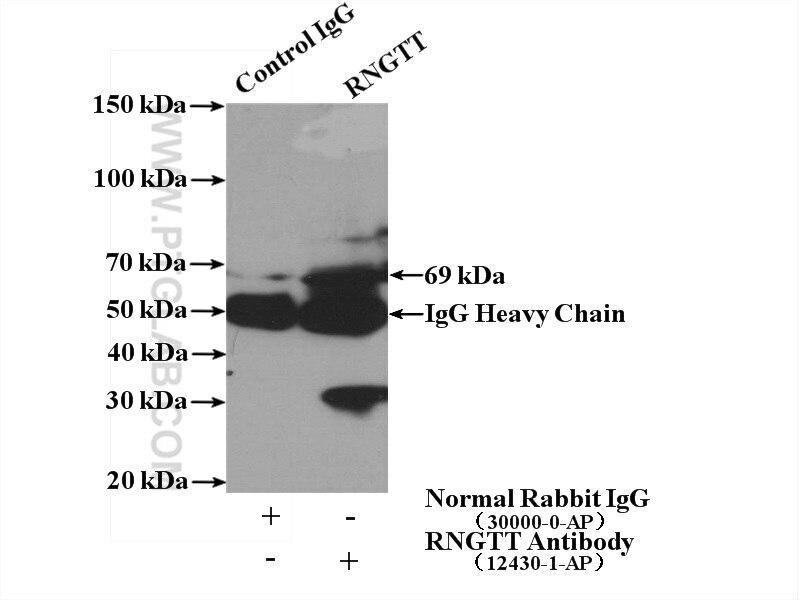 IP Result of anti-RNGTT (IP:12430-1-AP, 4ug; Detection:12430-1-AP 1:500) with mouse kidney tissue lysate 4000ug. RNGTT(mRNA-capping enzyme) is also named as HCAP1, HCE, CAP1A. In the N-terminal section it belongs to the non-receptor class of the protein-tyrosine phosphatase family and in the C-terminal section it belongs to the eukaryotic GTase family. 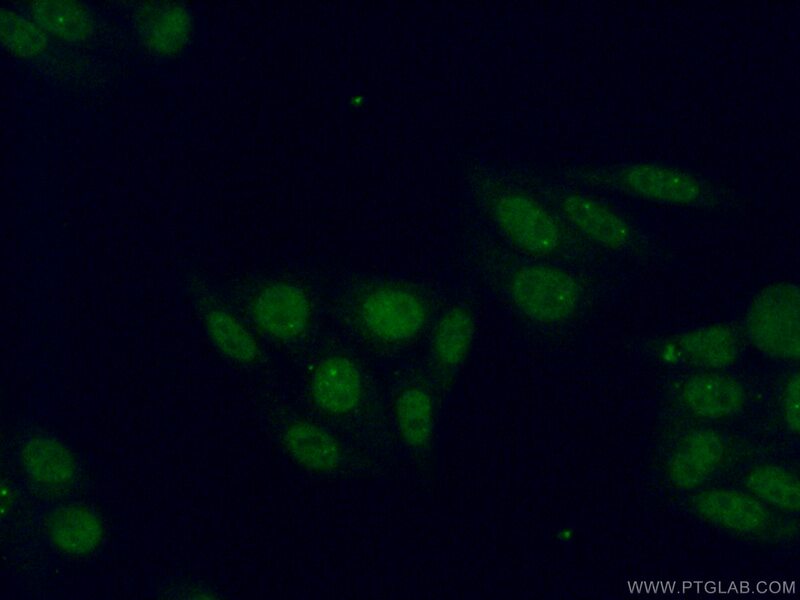 It is a bifunctional 597-amino acid protein with RNA triphosphatase and RNA guanylyltransferase activities(PMID:9545288). It has 4 isoforms produced by alternative splicing.